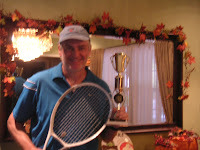 The Network is growing to the Dallas - Ft. Worth Tennis playing community with www.Tennis-DFW.com. We plan on trying to organize our first league after the summer heat starts to die down. Get on the Interest list today.